Having nearly 20 years experience in the IT industry after starting out as a junior Unix system admin's and then into software support. Initially focused on Windows and Unix/Linux systems management and ITSM. Though, as I enjoy presenting and meeting people the lions share of my career has been in Pre-Sales roles, this background then affording me the opportunity to join SUSE over 5 years ago. 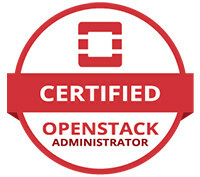 Working as UK SUSE Solutions Architect and since January 1st, I have now happily become the full time EMEA Lead Solutions Architect for SUSE OpenStack Cloud (which I have been doing part time for nearly two years). I am a keen advocate of Open Source and standards for what this offers to society as a whole and I am frequently involved in Meetups on related subjects, having presented at the London, Netherlands and Oslo OpenStack Meetup's and more general Linux sessions. I was also able to speak at the Openstack Benilux, Paris/Austin conferences in 2014/16 and at recent OpenStack days in Hungry and Ireland. As a family man I also feel passionate that we need to help educate our next generations and have spoken on these topics at some UK universities, hoping to keep the momentum Open Source has achieved going. Away from technology I am a keen on sport, I still play (and coach a little) the wonderfully eccentric sport of Cricket for a local team and though my football playing days are long gone I content myself by being a long suffering Hull City FC fan and helping out for my sons under 7's side at the weekend. I try to stay fit to allow me to Snowboard as much as I can (though the family means this isn't as often as I would like) and have competed at a reasonable level in Swimming and Triathlons in the past. Which has combined with my interest in charity support, where I arranged an international bike ride by my cricket team in 2014 to raise money for the Poppy Appeal in the UK. I have also volunteered to help larger events, being lucky enough to have been part of the "Games Makers" at the fantastic London 2012 Olympiad and a "Tour Maker" for the Grand Depart of La Tour when it was in Yorkshire, UK in 2014. When I'm not doing all that I love live music, attending festivals when I can. I read often, particularly enjoying history having even been a voluntary archaeologist in Cypress when I was (much) younger. Well done! You have built your cloud, But what now?